TOMORROW is International Blog Day – and already an innovative venture by Reporters Sans Frontières is more than two months old. 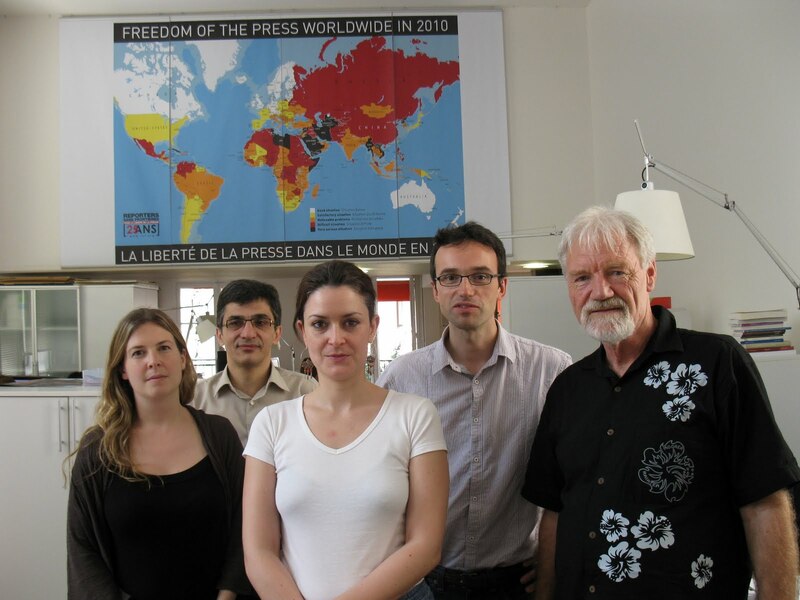 While Café Pacific's publisher was in Paris visiting RSF, the media freedom organisation was launching a new tool to protect the identities of bloggers exposing truths unpalatable to some regimes. The world’s first “anti-censorship shelter” was launched in mid-June in a clever new attempt to foil oppressive regimes. Take note, Fiji bloggers. The shelter tries to ensure that online journalists and bloggers can freely publish while staying anonymous. RSF pledges "an active commitment to an internet that is unrestricted and accessible to all”. Its strategy for doing this is to offer censorship victims a way of protecting their online information. The organisation has partnered with a security firm, XeroBank, to form what it describes as a "virtually untraceable high-speed anonymity network". Traffic is mixed with that of thousands of other internet users from country to country, making detection impossible. RSF has also created a website for hosting “forbidden material” in order to outwit global censorship. As many regimes have become more suspicious of bloggers and ever more oppressive, the online writers continue to publish news and information that traditional media dares not cover. Online sites, like CoupFourpointFive, have provided a key safety valve and clearing house for the Fiji opponents of dictator Voreqe Bainimarama. 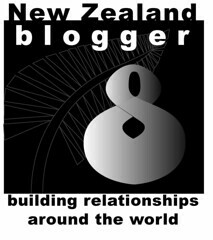 Let's acknowledge that blogs are a fantastic tool for freedom of expression. They have loosened the tongues of ordinary citizens. People who were until now only consumers of news have become players in a new form of journalism, a "grassroots" journalism, as expressed by Dan Gillmor, that is "by the people for the people". Blogs are more or less controllable for those who want to keep them under surveillance. Governments that are most up to do date with new technology use the most sophisticated filtering or blocking techniques, preventing them from appearing on the Web at all. But bloggers don't just sit back and let it happen. 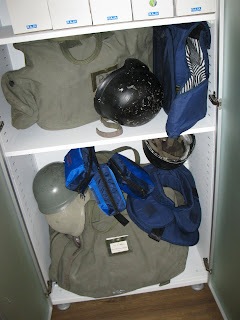 The essential question becomes how to blog in complete safety. And that’s where the new RSF blogging tool comes in. RSF is also helping journalists in other practical ways too, like hiring out media flak jackets at a fraction of the commercial rates. Q. What does the Fiji Times, the Townsville Bulletin, the Australian and the Courier-Mail have in common? A. They are all owned by Rupert Murdoch's News Ltd and they've all employed Rory Gibson as editor, editor-in-chief, chief subeditor or senior journalist at some time or other. Rory has the reputation of writing humourous articles. If you're a kookaburra, you'll really laugh at his latest effort, Australian tourists turn a blind eye as Fiji's best people persecuted in the Brisbane Courier-Mail. He writes that "it should be a source of profound shame to our country that Australians are going on holidays to Fiji in record numbers". Why? Because they are gifting "dollars to the coffers of a nation that is run by a military dictatorship little better than any apartheid regime operating in South Africa's dark ages". Forget that most of the dollars stay in Oz and that thousands of ordinary Fijians live on what's left. Just think back to Soweto, S. Africa, 1976. Police open fire on 10,000 protesters. Fiji today: No guns fired. 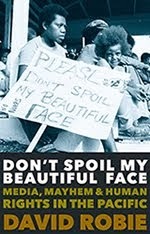 Apartheid South Africa: All ANC leaders, including Nelson Mandela imprisoned, many for life. Fiji: Short-term arrests but no political prisoners; former Prime Ministers drinking coffee in Downtown Suva. And who is the cause of the shame in Fiji? "We can all laugh," he writes unblushingly, "that our Melanesian neighbours are ruled by a bloke with a name that sounds like an '80s girl band, and assuage our consciences by believing Commodore Bainimarama's claptrap about restoring fairness to Fiji's racist electoral system." Girl band? Claptrap? Restoring? It wasn't a racist electoral system? And what are the effects? "This Pacific tragedy isn't about whether the Fiji Times is being edited under the baleful glare of one of Bainimarama's gun-toting thugs [Oh, No? ], or that an expat gets his marching orders. [Definitely not!] It's about people like Imrana Jalal and her husband Ratu Sakiusa Tuisolia." And the rest of his long story is about these "best people" and a court case in which Jalal was acquitted. His conclusion? "Going on holiday there while this sort of abuse is happening would be like sitting in a cafe sipping a coffee while a mugger attacked a pregnant woman on the footpath next to you, and you ignored it." So, that's all for the moment from Rory Gibson, former editor-in-chief of the Fiji Times, defender of media freedom. One wonders what his journalist colleagues think about this. First we started the PFF which was to be the watchdog which PINA wasn't, has it achieved that? And now we are starting the Pacific Media Association. What's next? PPA, PFP, PMF, PIFA, we have a problem in Fiji and, as crude as this may sound, whatever we do outside of Fiji cannot bring international attention to the plight of Fiji media. It is the Fijian media itself, on the ground in Fiji, who have to take Pacific journalism to the next level - that is put their lives on the line, if they are to get international recognition. In the days immediately following the announcement of the launch of the Pacific Media Association (PacMA), the question has often been raised about why Samoa was chosen as the place to register this new organisation. Last week on August 10, several media owners and journalists from the Pacific region met in Apia to form the new association. A new constitution was formulated and registration of an incorporated society was sought with the government of Samoa. Headed by probably the Pacific region’s most successful and experienced media owner and journalist, Samoa’s Sano Savea Malifa, the men and women that make up the organisation promise to be the embodiment of PacMA’s mission to promote and defend values of media freedom, ethics and good governance, and provide training for all media in the Pacific region. But it is more than that. 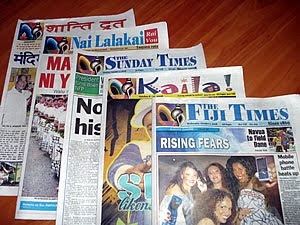 Samoa hosts some of the most effective media operations in the region – be it print, broadcasting, or on-line. And these operations are not flash-in-the-pan overnight sensations. Prime Minister Tuilaepa Sa’ilele Malielegaoi has himself been a staunch supporter of media freedom. Despite having been at times scrutinised by the local media, he has been a mature and responsible leader in his response. On the evening that marked the launch of PacMA, Tuilaepa, despite a busy schedule, and another function he needed to attend, “dropped in” and congratulated the founders of PacMA, encouraged the members in its stand for media freedom, and gave a speech that welcomed the organisation. Another major facet of the PacMA ethos that is fundamental to its formation and ongoing practice is that of independence from the aid infrastructure in the region that often results in “funding traps” in which service organisations become entangled and unable to fulfil their mission. Obviously, there is no organisation that can survive without funding. But PacMA has chosen to be self-funded, and allow Pacific generosity to be a sustainable provider. There will be specific projects, however, from time to time, for which the organization will seek funding assistance. 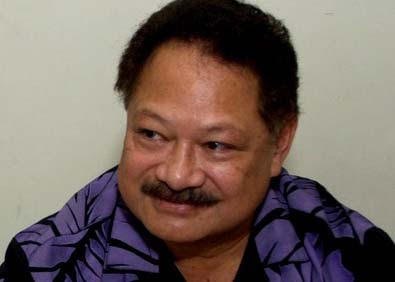 Kalafi Moala, publisher and chief executive of the Nuku'alofa-based Taimi Media Network, is deputy chair of PacMA and himself a key campaigner for media freedom Pacific-style. Photo: Kalafi Malifa - Josie Latu/PMC/File. Note: PacMA has been renamed the Pasifika Media Association (PasiMA). A riposte to two articles by Pacific correspondent Rowan Callick in The Australian newspaper, like the Fiji Times owned by Australia's News Limited. They were submitted to the newspaper [by an academic with specialist knowledge on Fiji] but not acknowledged or printed, he says. 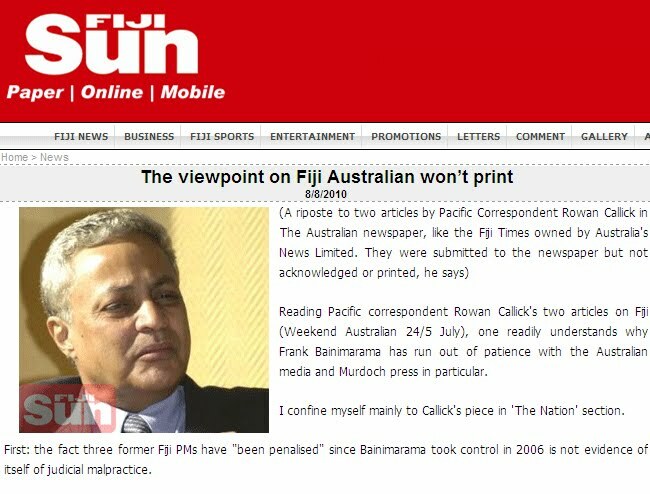 Reading Pacific correspondent Rowan Callick's two articles on Fiji (Weekend Australian, 24/5/ July), one readily understands why Frank Bainimarama has run out of patience with the Australian media and Murdoch press in particular. I confine myself mainly to Callick's piece in "The Nation" section. First: the fact three former Fiji PMs have "been penalised" since Bainimarama took control in 2006 is not evidence of itself of judicial malpractice. In his other article, in the "Focus" section, Callick refers to a general history of poor leadership in the Pacific. In which case, is it not at least possible that three former PM's of Fiji do have possibly valid allegations to answer for? Second: Callick says Chaudhry's recent court appearance got "saturation coverage from the regime's propaganda outlets". For most here, including myself, it came somewhat unexpectedly. For though it was the front page story in the pro-Bainimarama Sun newspaper, it was reported without frills. (Editor's note: Mr Chaudhry denied all the charges against him and is contesting them in court). Third: Callick quotes (Australian) Foreign Affairs Minister Steven Smith's spokesperson as saying Chaudhry's arrest was "of concern". That it had "obvious political implications". That Foreign Affairs would "be watching this case closely". News? More to the point there's no allowance here for the possibility that Chaudhry might just have something to answer for. Nothing but the bleeding obvious, either, in Foreign Affairs saying the case held out "political implications". Not allowing for the fact, perhaps, just perhaps, however remote, that these very serious allegations may have already had "political implications" for governance and the rule-of-law in Fiji. Fourth: Callick cites Amnesty International for the government's dismissal of judges and magistrates. Fair enough. Such removal is of concern. But so too is how sections of the judiciary, during former P.M. Qarase's tenure, succumbed to political pressures. Most notably, by releasing early from goal, men sentenced for conspiring with George Speight (and others unnamed or involved in politics) in the 2000 coup. No mention was made of either of those in the police in 2000, along with mutinous army units, who made the coup possible. Nor any reference to those others in the military who later almost succeeded in assassinating Bainimarama for what his clean-up might reveal. One must acknowledge that Bainimarama breached the rule of law in December 2006. To hold however, as Callick does, that Bainimarama's "authorities have no respect for the rule of law" today is, to say the least, simplistic. It overlooks the Qarase government's own disregard for the rule of law and the threat to social order certain of his policies favouring the indigenous presented. The military takeover of any elected government always falls somewhere between "unfortunate" and "disastrous". But when elections are based not on the principle of one-person-one-vote, but on communal grounds, and one of those communities - itaukei or ethnic Fijian - has superior numbers who are then promised favoured treatment, and are incited to bully, burn, and expel Indians and their property then, I suggest, the usurpation of "democracy" ranks at the 'unfortunate' end of the spectrum. Fifth: Callick says the Fiji government has stopped Rabuka's pension to shut him up. He doesn't mention that it revoked that decision and that Rabuka has been publicly contrite and supportive of Bainimarama. Sixth: We are told Chaudhry describes Bainimarama as "autocratic and dictatorial". There's no mention of the fact that some people in Fiji (rightly or wrongly) condemn Chaudhry for his own arrogant and insensitive, some would say self-serving, leadership. First as a unionist parliamentarian and then as Prime Minister: the kind of behaviour unhelpful to the creation of civil society. Callick also forgets that Fiji's universally esteemed first Prime Minister, the late Ratu Sir Kamisese Mara, sometimes spoke of the need for "benign dictatorship" in Fiji in the post-independence years. It was deemed compatible with traditional authority and useful to the creation of his own brand of multiculturalism. I don't recall any foreign powers objecting then. As best I can judge, and it is impossible to be sure, right now most Fijians (the government, by the way, recently declared an end to ethnic labels: all its citizens are "Fijians") regard Bainimarama not as a malign dictator, the kind Canberra and Wellington would have us see. Rather they see him as the right man in the right place, a harbinger of hope. Seventh: Callick is right to say Bainimarama's recent "Engaging Fiji" meeting, in Fiji, with the Melanesian Spearhead Group - Plus, was a "public relations coup". But it wasn't seen as "tumultuous" here. Furthermore, it was arguably a victory not just for Bainimarama personally, or even the MSG but also for that rather - forgotten concept - "the Pacific Way", minus of course Samoa, Niue and the Cook Islands which are desperately dependent on New Zealand. Like Bainimarama's Fiji, the "Pacific Way" is imperfect but until politicos, foreign affairs journalists, diplomats, and policy advisors get their heads into the history and lived-reality of culture in the South Pacific, folk in Australia and NZ will go on being subject to the myopia and entrenched views their professions seem to involve. Lastly, Australia and NZ's call for quick elections is dangerous folly. They would bring a return of the political and economic opportunists, impelled to stir up ethnic fears via the bogey and lies of problematic "race". The result would be social mayhem on a greater scale than has yet been seen. Exodus and claims to asylum would follow. It is a scenario that the two Tasman neighbours seem intent on ignoring. Exactly why is another matter. 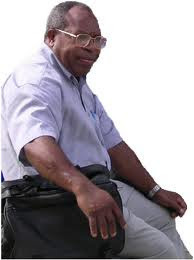 The duty of any state, Michael White wrote recently in The Guardian Weekly (18 June 2010), is first to protect its people from hostile foreign powers, and second to ensure internal social order: the sort of stability, harmony, and peace-of-mind most in Fiji are presently grateful for. Dr Christopher Griffin describes himself as a student of Fiji society for 35 years. He originally taught sociology at the University of the South Pacific, Suva, and till recently social anthropology at Edith Cowan University in Australia, where he is today an Honorary Senior Fellow. West Papuan leaders are warning of a "total intifada" in their Indonesian-ruled homeland, saying the failure of the Pacific Islands Forum to discuss their independence may mean the end of its diplomatic attempts to resolve their plight peacefully. They are disappointed that Vanuatu, as the new chair, did not address the matter as promised but they have also singled out Papua New Guinea for "betraying" them with its insistence on Indonesian sovereignty. "We feel betrayed by Papua New Guinea and its grand thief - not chief - Sir Michael Somare," said Dr John Ondawame, a spokesman for the West Papua National Coalition for Liberation. 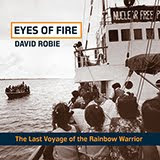 "Pacific leaders continue to be bribed by Indonesia, diplomacy is failing and it will be very difficult for our political leaders to contain our OPM [guerilla] forces after these ongoing diplomatic failures. We are close to declaring a total intifada in Papua." Vanuatu is the only nation to have backed the West Papuans. Last month its Parliament passed a bill declaring that Vanuatu would take the issue to both the International Court of Justice and the United Nations General Assembly later this year. Last year, West Papua was close to gaining observer status with the sub-regional Melanesian Spearhead Group, which groups Papua New Guinea, Solomon Islands, Vanuatu, Fiji and New Caledonia. It was blocked by Somare, the PNG Prime Minister, whose lone dissenting voice scuttled the deal, since the vote had to be unanimous. 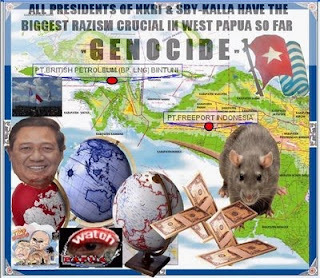 Papuan leaders also warned the forum leaders to be wary of Indonesian influence, claiming Indonesia is playing "a double game" as it also had its ambassador to Fiji attend that country's rival "Engaging Fiji" meeting. Observers say Indonesia is concerned that Vanuatu chairs both the Melanesian Spearhead Group and the Pacific Islands Forum, given its support for West Papua. Indonesian support for Frank Bainimarama's rival forum in Fiji might be a way of undermining the forum if it continues to push the West Papuan issue. 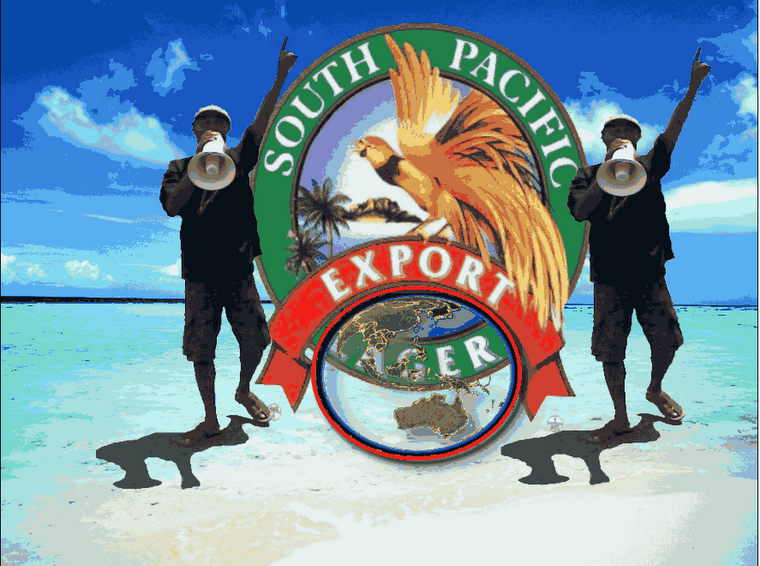 Images (from top): Papuan campaigners - export beer from 'betrayer' PNG, Dr John Ondowame and poster on OPMblog. Ondowame photo credit: Melanesia News. THE NAKED and handcuffed body of a murdered Papuan journalist has incensed human rights activists and media freedom activists alike. The discovery of the body dumped in a river comes just days after the Obama administration has been widely condemned over the decision to resume engagement with Indonesia’s notorious Kopassus special forces. Kopassus has a bloody record throughout the republic, but especially in the former repressed "colony" of East Timor and in the annexed territory of West Papua. The East Timor and Indonesia Action Network (ETAN) has been among those groups at the forefront of protest against the Indonesian red-berets: "Slipping back into bed with Kopassus is a betrayal of the brutal unit's many victims in Timor-Leste, West Papua and throughout Indonesia. It will lead to more people to suffer abuses," says John M. Miller, national coordinator of the US-based ETAN. "Working with Kopassus, which remain unrepentant about its long history of terrorising civilians, will undermine efforts to achieve justice and accountability for human rights crimes in Indonesia and Timor-Leste (East Timor)." In an abridged translation by the Indonesian human rights movement Tapol of an article published by the Jayapura newspaper Bintang Papua, the Indonesian government has been urged to pass a law to protect journalists and civil rights activists. The death of Ardiansyah Matra'is , known to his friends as Ardhi, 31 years old, whose badly wounded body was discovered on the banks of Maro River, is deeply disturbing and is seen as a threat to other media workers and civil society activists. The Regional Representative Council - DPD - and the Anti-Corruption Institute, has called on the Indonesian government to immediately adopt a law guaranteeing protection for activists and media workers and called on the security forces to investigate this case, to find out who was behind this murder of the Merauke TV journalist. Saly Maskat, speaking on behalf of the institute, said that democracy in Papua was now dead because there was no guarantee of safety for journalists who were seeking the truth. It is ironic that shortly before his death, Ardhi and several of his colleagues had received SMS death threats. The government has for too long delayed adopting a law providing protection for activists and media workers. Only recently, an ICW activist was beaten up by unknown persons while carrying out an investigation into several cases involving government officials. Saly said that colleagues have frequently been threatened by unknown persons while investigating cases concerning Papuan officials similar to the cases in Merauke. Such incidents, which have also occurred in Bali, have had a serious impact on our activities, he said, as well as on our organisation. People feel constrained about continuing with their activities in the media if there are no legally guaranteed safeguards from the government. He also called on the police to thoroughly investigate these incidents and find out who was behind the ghastly murder of the journalist. "This is essential to provide journalists with a sense of security in the pursuit of their journalistic activities." The chairman of the Papua branch of the journalists organisation, PWI, has also called for the murder of the journalist in Papua to be thoroughly investigated. West Papuan activists welcome a statement from the Pacific Islands Forum Secretary-General, Tuiloma Nerom Slade, highlighting a forum theme to “protect the most vulnerable communities within the Pacific”. 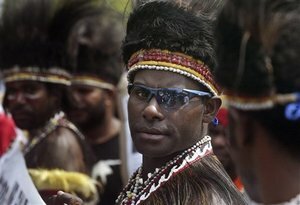 A media release from West Papua National Coalition for Liberation (WPNCL) spokesperson Rex Rumakiek said it was the sincere hope of the West Papuan people - "who continue to suffer under Indonesian rule - that the forum will not keep ignoring the genocide and will actively address the truely vulnerable communities in West Papua". The WPNCL and other NGO groups claim more than 100,000 people have died during the past 40 years of Indonesian colonial rule.